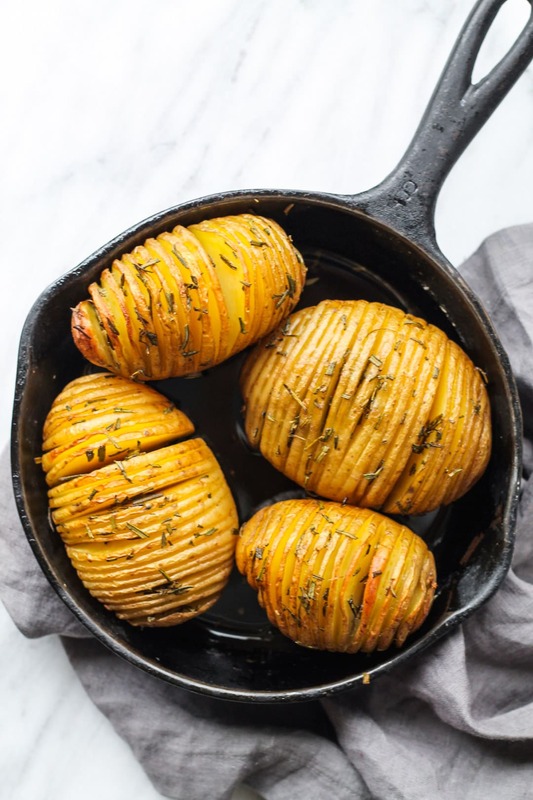 These Low FODMAP Hasselback Potatoes with Rosemary are a fancy-looking side dish perfect for a holiday party or date night. Holiday party planning is in full swing over here. I am testing a bunch of holiday-inspired recipes to share and hopefully help make this sometimes crazy season even more enjoyable sans IBS symptoms. 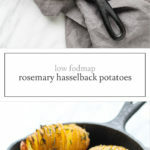 If you’re not familiar, this Hasselback technique allows for the flavors to ooze into more of the potato and produces a really nice combination of texture. It’s kind of like a cross between baked potatoes and french fries. Yum! Preheat oven to 425°F. Grease a baking dish and set aside. 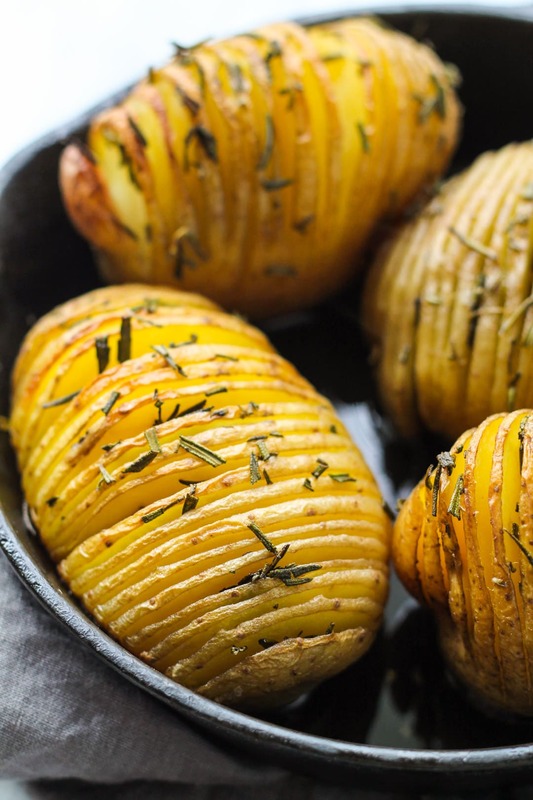 Cut thin (1/8-inch thick) slits into each potato, stopping just before cutting through so potato stays connected at the bottom. Place prepared potatoes into the baking dish with cut sides up. Gently fan potatoes apart. Drizzle with 2 Tbsp. olive oil. Top with chopped rosemary, salt, and pepper. Bake for 35 minutes. Drizzle with remaining 2 Tbsp. olive oil and bake another 30 minutes or until potatoes are just crispy on the edges and fork tender. Serve warm.